I left work at the normal time on Tuesday, @Ruthimental and I drove to Centurion in rush hour traffic to pick up @BaasDeBeer and before you could shout “Crush!” we were on our way to Coca-Cola Dome in the Northern Suburbs of Johannesburg to catch Dave Matthews Band’s second and last concert on their first ever South African tour. Traffic on the N14 was quite hectic (thanks to E-tolling system that was implemented on the same day), but we reached our destination on time and found a royal parking spot at the Northgate shopping center next to the Coca-Cola Dome. I had been waiting for Dave Matthews Band to perform in South Africa ever since I started listening to their music (back in 1996) and I was extremely amped to see them perform and even more excited about the opportunity to photograph them for the first three songs of their set. I almost could not contain my excitement when Big Concerts announced their tour earlier in 2013. I don’t think I realized how awesome things were going to be on Tuesday until Dave Matthews himself announced the opening act. I could not believe that I was only half a meter away from the person who is one of my biggest musical inspirations and one of my favorite artists of all time, so it’s no wonder that I switched over to fan boy mode in no time. 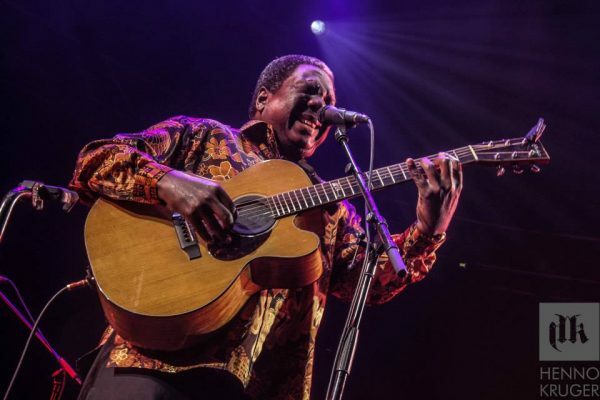 There’s no doubt in my mind that Vusi Mahlasela was the perfect choice as the opening act for this concert. He started off his set at 7 PM and got the crowd in a good mood for the main act. I was particular impressed with his semi-political / satirical comments during his set and the fact that he played “Weaping” and “Say Africa” (two songs that are very close to my heart). Dave Matthews Band kicked off their set and at about 8:30 PM and immediately blew the crowd away with their songs “Too Much” and “Don’t Drink the Water”. I am extremely happy that they chose those two songs, because I was still in the photo pit when they played them and it made being there at that moment just a tad more awesome than it already was. The third song the played was “If Only”, followed by “What Would You Say”, “Crush” and “You Might Die Trying”. Next up was “Everyday” (with Vusi Mahlasela), “Spaceman” and “Cornbread”. Next they played “Proudest Monkey” and “Grazing The Grass” (with SA Music legend Hugh Masekela), “Rooftop”, “You and Me”, “Jimi Thing” and “Ants Marching” (much to the delight of the capacity crowd). They briefly left the stage after this but returned for a three song encore that completely blew everyone away. Dave Matthews Band played a cover of the Rodriguez song “Sugar Man”, followed by “Grey Street” and “All Along the Watchtower” (a Bob Dylan cover). They played a set that lasted nearly three hours, something that not many artists can do in this day and age. I can safely say that this concert was the best live show that I’ve seen in 2013 and definitely in the list of the top 5 live shows that I’ve seen in my life. I was completely blown away by this. I don’t have any words that can accurately describe how awesome it was. Kudos to Big Concerts for FINALLY bringing Dave Matthews Band to South Africa, let’s hope they can return at least once a year. What did you think of the Dave Matthews Band shows in South Africa? Leave a comment and let me know. Feedback is appreciated and welcome here. If you’ve enjoyed reading my review and viewing these photos, feel free to spread the word on Facebook and Twitter. Remember: Sharing is Caring after all. In case you were wondering, there are more photos that I took on the Henno Kruger Photography page on Facebook, feel free to check them out. 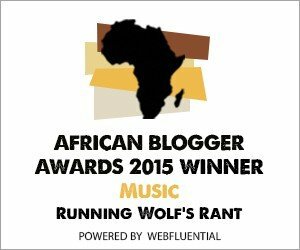 Watch this space for regular updates in the Music, Opinion and Photography categories on Running Wolf’s Rant. Purposeful Practice with Jeff Coffin from Dave Matthews Band.